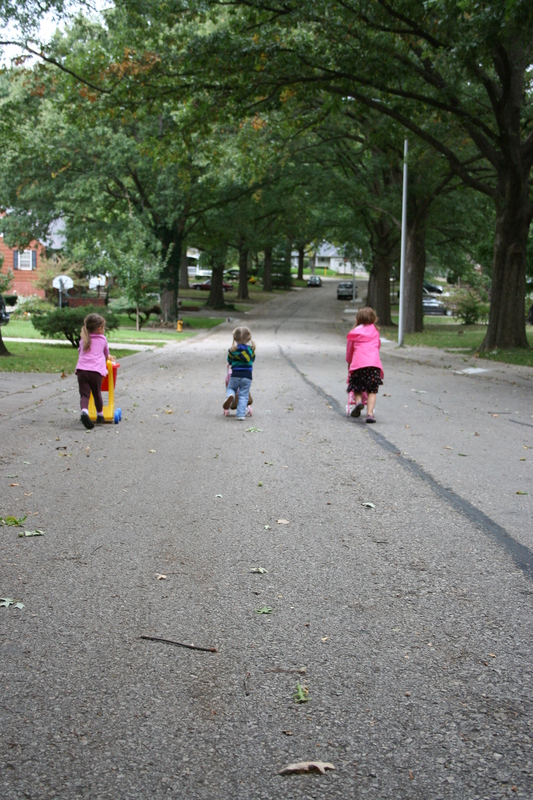 Lately, Arle (in the middle) and her two neighbor friends have been frequenting our street with stroller/grocery cart parades. It’s pretty stinkin’ cute. They all meet up, then go back and forth between houses and have a grand ol’ time. I love watching Arle develop friendships with all the kiddos around. Such a fascinating thing to me, for some reason. I love it…so cute! Nothing like best friends! you have to put that in arle’s photo album/baby book/scrap book. that is a cute memory for sure. I LOVE THIS! Wow, she’s really growing up…making friends, playing stroller/grocery cart parade, so awesome! This reminds me of my growing-up days in Plainview, Texas. I am so glad y’all live in such a wonderful neighborhood with little neighborhood friends.